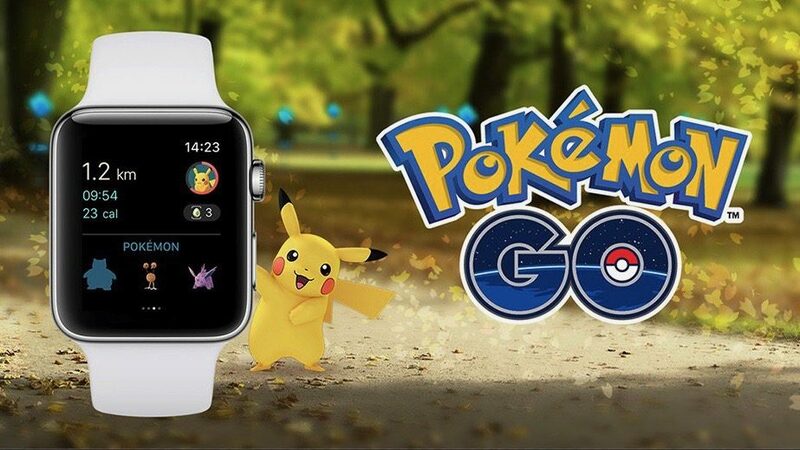 To all of those who have been waiting to play Pokémon GO on the Apple Watch since the game developers teased it at Apple’s September keynote event, you can finally stop holding your breath because it’s now available. 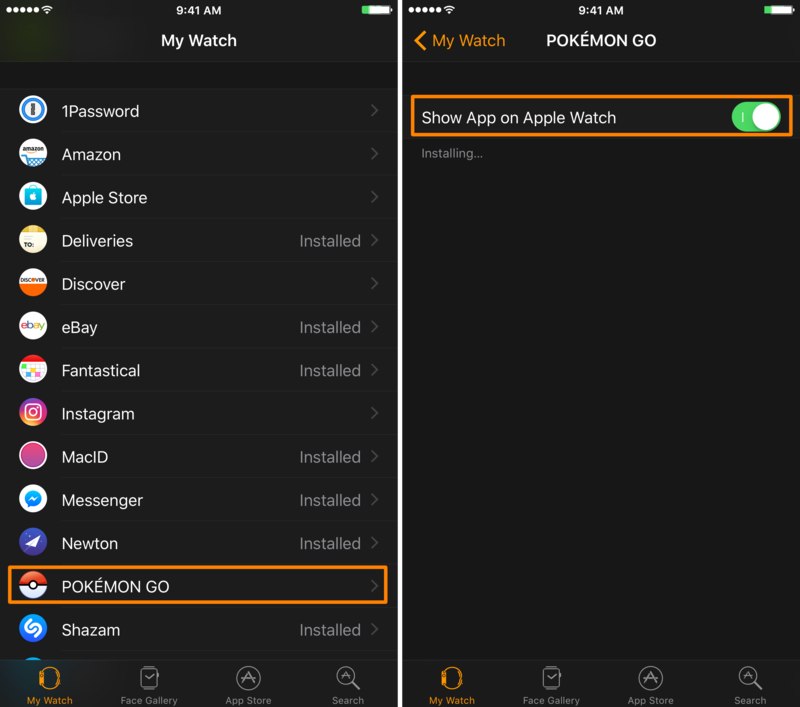 Pokémon GO for the Apple Watch comes in an update (version 1.21.2) to the existing iPhone app from the App Store, so after installing it, you’ll be able to add it to your Apple Watch just like you would with any watch app you’re already using. The update to the game brings a bevy of additional functionality to the Apple Watch, including Activity and Fitness tracking, in addition to information screens that let you see the progress of egg-hatching and trainer leveling. The Apple Watch app also lets you know whether or not there are any Pokémon or PokéStops nearby, which will be invaluable features for players. You’ll also see that there are settings for wrist-tap notifications whenever you’re near a Pokémon or PokéStop, which means you don’t have to keep your eyes on your iPhone app for new Pokémon anymore. This allows you to utilize the power-saving mode of the iPhone app more often, potentially saving you oodles of additional iPhone battery life while you play the game and let your Apple Watch take some of the strain. While you can use the Apple Watch for a number of Pokémon GO-related activities, one thing you can’t do is catch Pokémon from it. That means when you get the notification that a Pokémon or PokéStop is nearby, you’ll have to lift up your iPhone to proceed with the catch or spin the plate. Pokémon GO will also now request your location even when you’re not using the app, which will be required if you plan on using your iPhone for other things while your Apple Watch works on pinging you about Pokémon and PokéStop notifications in the background, so keep this in mind. 1) Open the Watch app on your iPhone. 2) Scroll down to POKEMON GO and tap on it. 3) Turn on the Show App on Apple Watch toggle switch. After installation, you will be asked to enable notifications on the Apple Watch. You will have to enable them if you want to get taps on the wrist when you’re near Pokémon or PokéStops. You’ll also need to allow Pokémon GO to access your Health and Fitness information through HealthKit if you want it to track your steps and calorie-burning while you play, so keep that in mind as well. In addition to official Apple Watch support, Pokémon GO’s update on Thursday also adds some minor text fixes inside the iPhone app to improve legibility and aesthetics. Although these kinds of fixes appear in every update, they’re typically minor and aren’t easy to point out. Who needs a silly third-party wrist accessory when you have an Apple Watch!? If you’re not already playing Pokémon GO and are excited to try the app on your Apple Watch today, you can download the game for free from the App Store. Are you excited to try playing Pokémon GO from your wrist rather than from the palm of your hand? Share in the comments below!